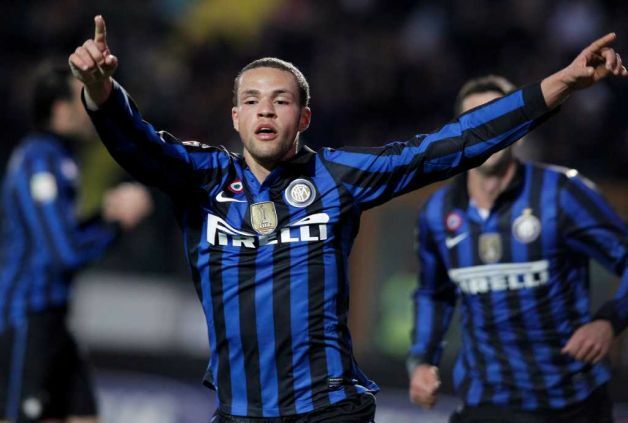 Inter Milan have told West Ham United that they will have to pay £6million for Dutch talent Luc Castaignos, or he will go on loan to another Serie A side. Newcastle United, Everton and Liverpool have all expressed an interest in the youngster who was part of the side that won last season’s inaugral NextGen Series tournament. The 19-year-old striker is reportedly going to cost £1.6m to take on loan for a season. The upcoming talent has made it no secret that he will probably part company with the Italian giants this summer. “The club wants to loan me to an Italian team, but it is a move I would not be interested in. “We have thus decided that I be sold. I regret not having been able to show my qualities. I am sad, but football is like that and the club and I have made this decision together. Castaignos made six first-team Serie A appearances at the San Siro last season, scoring one goal and has previously been linked with Manchester United. He was part of the Netherlands Under 17 squad who finished runners up at the 2009 European Under 17 Championship, narrowly losing out to Germany in the final. For the Under 17 national side, he is the all-time top scorer, with 13 goals in 17 appearances. Since making the step up to the Under 19 squad, he has continued his scintillating form and has currently netted 9 goals in 14 appearances. Castaignos started his career with Feyenoord in his home country. He played 37 times for the Dutch giants, and despite his age, he was found scoring 15 times. He then moved on to Inter Milan for a fee around 3 million euros and scored his first goal for the San Siro club on 27th November 2011 against Siena. Despite only grabbing one goal in the handful of first team appearances since his move, Castaignos has a real goalscoring pedigree proven by his record at previous clubs. If he is to move on loan this summer or even a permanent move to somewhere abroad, it is sure that he will be a huge factor in that club’s success next season. with the link and the header of your post:”Dutch Talent Luc Castaignos Will Cost £6million “?